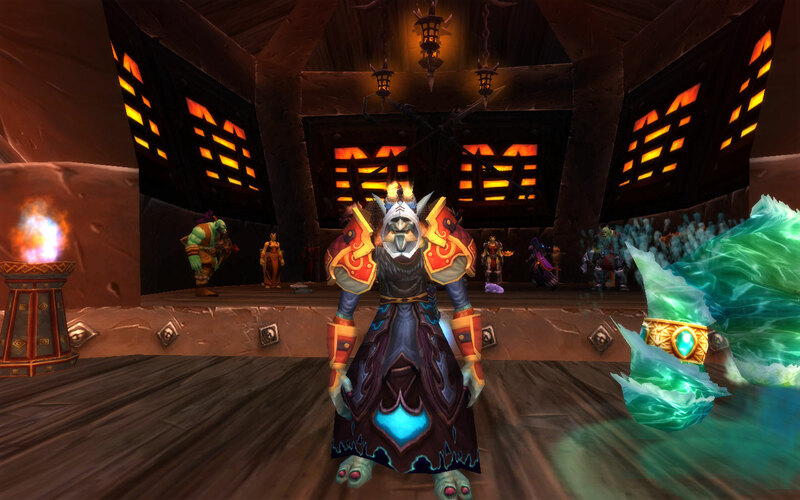 Only hours to go now before Warlords of Draenor. I’m … well, I’m excited, but not in the same way as I have been for past expansions. I’m taking a more relaxed approach this time, much as I did back when Wrath dropped … before I got involved in that whole raiding business. Don’t get me wrong, I thoroughly enjoyed raiding, and made a lot of friends through it. But I am completely ready to just be casual and go at whatever pace I want to set for myself. I don’t even know who I am going to level first. Van has been my main for something like an expansion and two-thirds now. If I was raiding, well, he would almost certainly be the no-brainer choice. 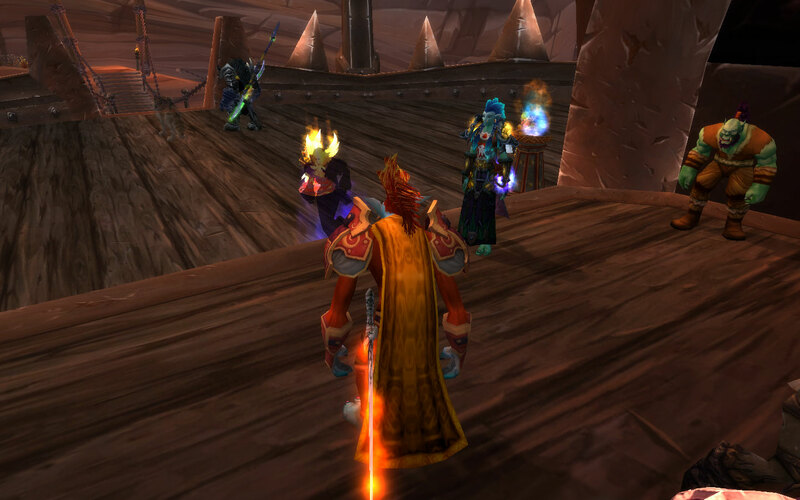 Since I’m only going LFR now, I’m not locked into a choice. And, honestly, even if I was, it seems like they have healers already and I would be reasonably free to choose another dps character if I wanted. So the choice now is really … who do I want to do ALL OF TEH THINGS? You see, even though I am very much an altoholic, I do tend to have one character who gets played the most and goes through all of the quests and reputations. Like for instance, I only had two characters out of 15 at max level who finished unlocking all of Sunsong Ranch. 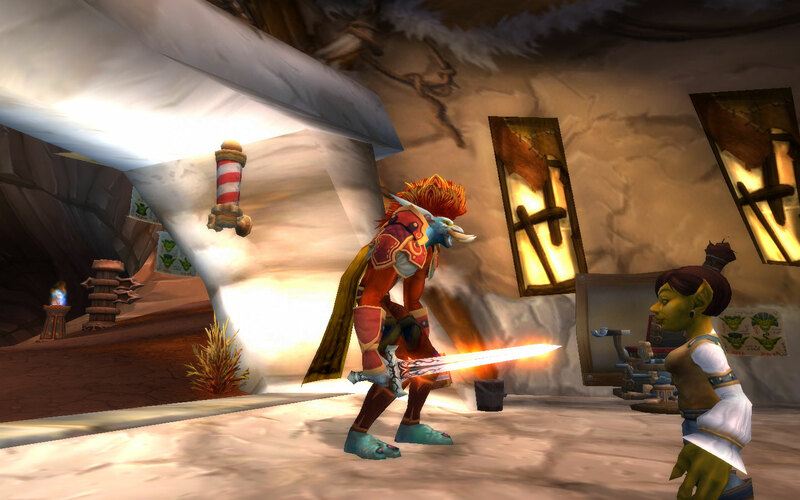 Van was the only character who finished every quest in Pandaria. I only had one character on each faction who completed the Warsong Offensive/Operation Shieldwall storyline. So it’s a bit of an important decision in some ways. Ok, so Van seems like a good choice. He’s got the best gear, he did the most in the last two expansions, I know I like playing him. But … the blood elves don’t have new models yet. So I’d be playing an old one. And what if, when the new models DO come out, I don’t like them? It could happen. I mean, look at what they did to humans. If that happens, well … I already plan to make one of my three male blood elf paladins into a female tauren. But I will wait until the models come out to decide which one, if it’s going to be the one that I play, or one that’s further down in the alt hierarchy. Junahu, my Tauren huntress, would be a good choice too. She was my first character, leading the way into Wrath, my first expansion. She did Loremaster back before Cata revamped it and made it easier to accomplish … or at least made it easier to track and eliminated the travel between continents to do a single questline. She collected all of the trackable pets in Mists, has all of the spirit beasts from Wrath, and certainly has her eye on some new hunter pets in Draenor. Of course, I don’t HAVE to choose someone that I have played a lot. Heck, I could do something crazy like let everyone else go jam up the starting areas while I go back to Pandaria and get the last two levels on Vorta so that she can prowl around Draenor in cat form. SO … remember Monday I posted Roz in all his mismatched gear? I asked for suggestions, but hoped that I would have enough crap stuffed in his bank to throw something together. Initially, I wasn’t planning on keeping any of the original outfit, especially the shoulders and gloves. Ewwww. BUT … when I dug through the bank, a couple of pieces practically jumped out of the bank and into my bags, just begging to be used, and they just happened to complement the pieces that I had so callously pegged as hideous. JD suggested the Scythe of Ahune. Amazingly enough, my memory did not fail me, as I actually do have the level 70 version of said staff hidden away in the bank. However, since this orange color theme was begging to be used, I went with another specialty holiday weapon; the sword from Hallow’s End. Zari wanted me to hide the helm and get a mohawk. Done and …. done! He also suggested losing the water elemental which … well, with this color scheme, it was a no brainer to go back to fire spec (especially since he already had it as one of his specs). Once that was all done he went to find Zari’s hot little mama Jendora to show off his new look. Seems to have worked, Jendora was pretty impressed, mon. 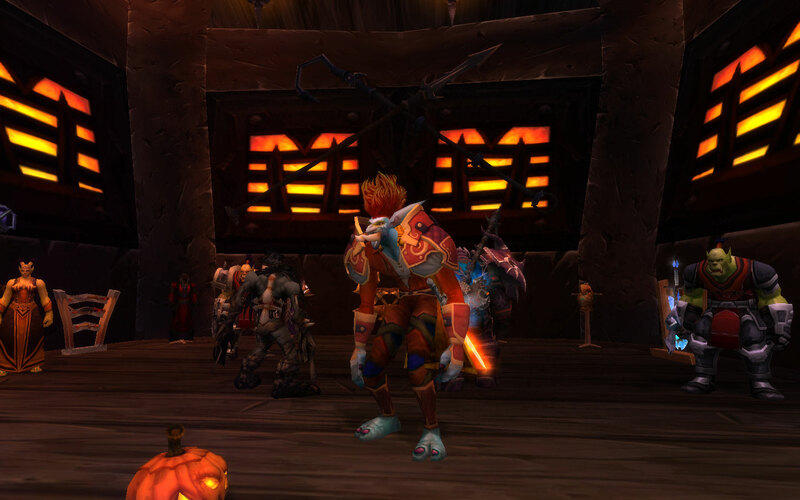 And for all of you mog addicts out there, here is a rundown of the outfit, because I know you like that sort of thing. Cloak: Medicine Blanket, ummm … sorry I have no idea where I got this and it is no longer available in game, so it was probably a pre-Cata quest item. I TOLD you I am a hoarder! Chest: Corsair’s Overshirt, Cookie in Deadmines. This is the low level version, NOT the one from the heroic. Belt: Chillbane Belt, Arcurion in Hour of Twilight. There are many options that would work well here though. Pants: Magister’s Leggings. More unobtainable stuff from my archives. You *can* get the replica version from the Darkmoon Faire though. Weapon: The Horseman’s Baleful Blade, drop from the Headless Horseman during Hallow’s End. A new version is usually added each year. Offhand: Iron-Bound Tome, Inscription 400, Roz made it himself for PvP back in Wrath. Saturday evening I was bored so I did the unthinkable. I logged onto Wow. I know right? I was just gonna post Van’s auctions since I’m pretty much flat broke on that server. 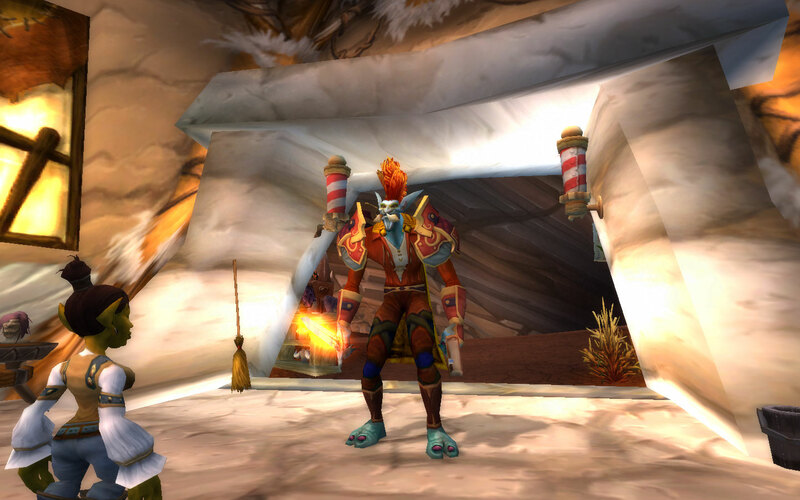 And then maybe do some Fire Festival stuff because … I need the money. But I only got as far as collecting my mail when Slice and Lyssi talked me into coming to LFR with them. Well, I figured Van didn’t need to see LFR since he’s in full 10 man gear, and I really, REALLY dislike healing 25 mans. 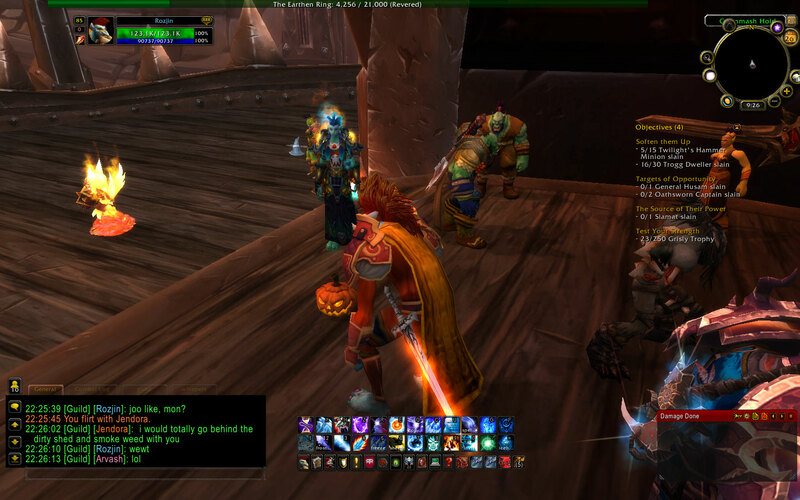 So after a couple of quick vendor purchases, I was off to join the unwashed masses of LFR on my ungemmed, unenchanted …. FROST MAGE! Take that, elitist jerks. Yes, my dps was horrid. But I damaged the right targets, stood where I was supposed to, and won a helm. So w/e.